Study HARD Get an AWARD! We are proud to announce our top 2 students from both ESL and Special courses from last week's Level Up Test. 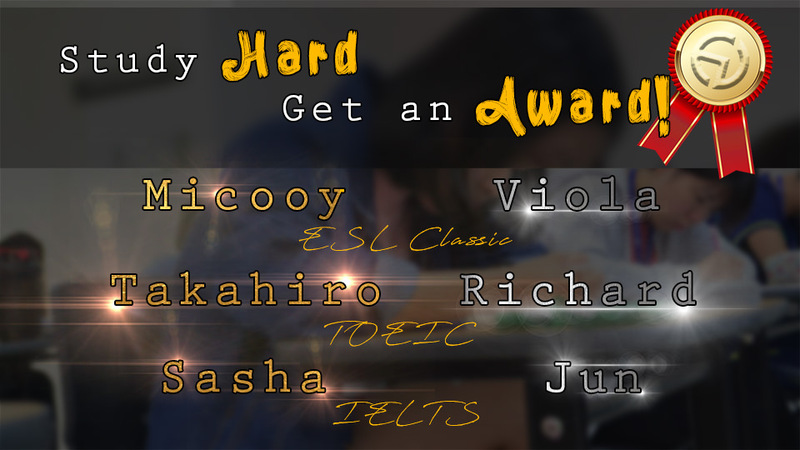 Congratulations to Micooy, Takahiro,Sasha, Viola, Richard and Jun! Keep up the good work and may you strive even more higher goals on your studies! Below is the ranking with their respective score,penalty and attendance rate.